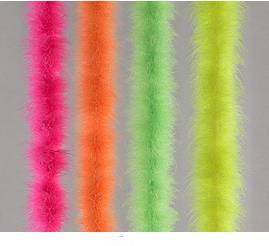 Feather boas, 40 gram weight, 6 ft length. Feather boas, 24 gram weight, 6 ft length. Includes jacket, pants, dickie, and tie. Includes double-breasted jacket with matching pull-on pants. Includes dress with layered fringe and sequin trim.